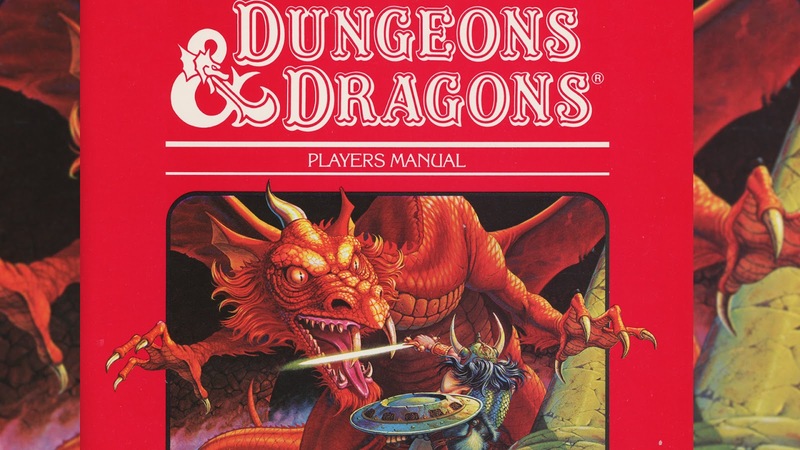 Facebook reports friends of various ages played Dungeons & Dragons over the New Years holiday. Is D&D really a thing? 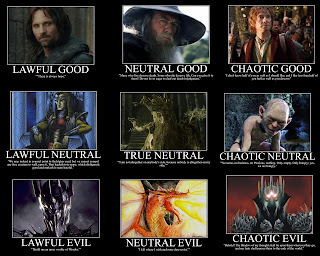 Is it still played by nerds with imaginations and funny dice? Have they moved on to using cryptic playing cards? 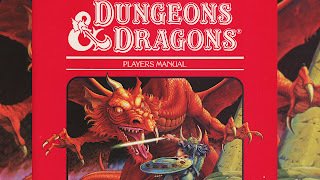 Or is D&D another Mega-Multi-Player-Online-Role-Playing-Game, like Minecraft and Roblox? The frontier of Virtual Reality? Strike that. I don’t want to know. It's the waning days of high school, on a Saturday afternoon in 1980. We're playing Dungeons & Dragons after watching the original Battlestar Galactica in Wendell’s basement, and racing our teenager cars across town to grab a lunch of Slurpees and BBQ. None of those things belong in the new millennium, except maybe in some nerd Jurassic Park. 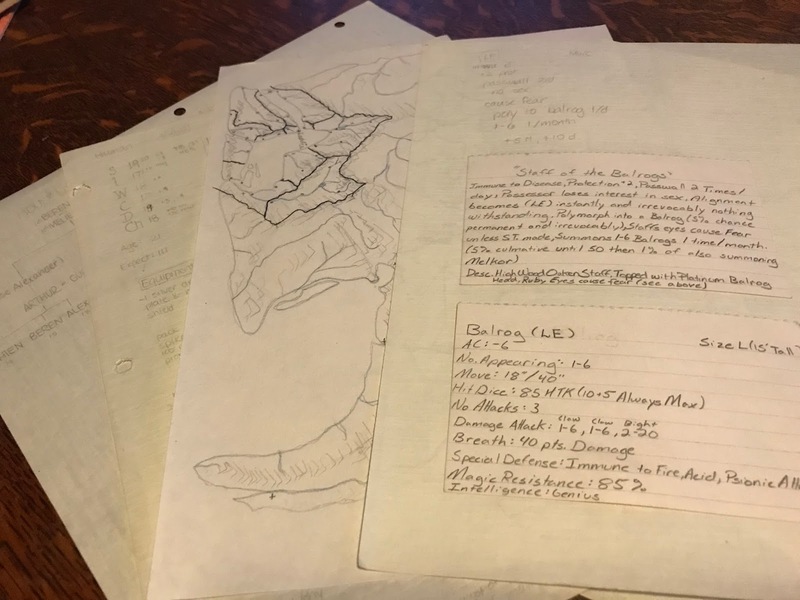 While sorting old file boxes from storage this week, I came upon several folders of D&D detritus: maps, chronologies, inventories, genealogies, and heraldic emblems for the heroes I imagined long ago. The many-sided dice and carefully painted figurines have disappeared. So have most of the memories. I tried to summon a favorite character from his statistics. 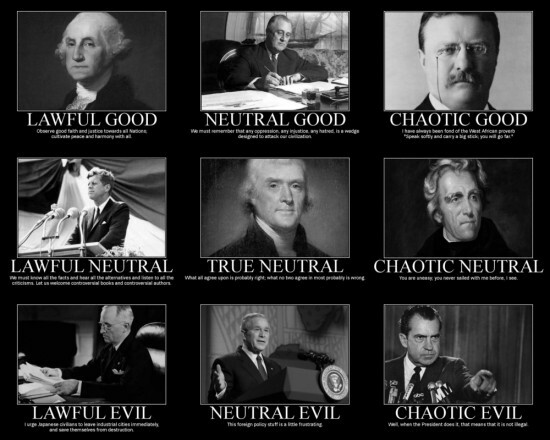 However, it turns out “Wisdom = 18 / Level 16 Bard / Lawful Neutral” is like reducing Marilyn Monroe to 36-24-34. Last year, while hanging out with a group of gay nerd friends, someone asked me if I’m an anarchist. 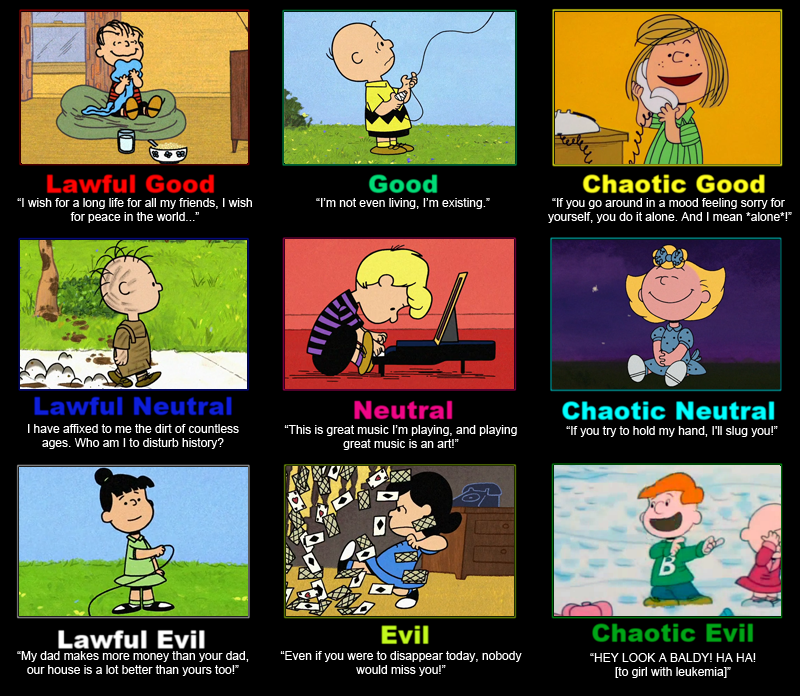 I said I aspired to be chaotic, but anarchy seemed a bit much. 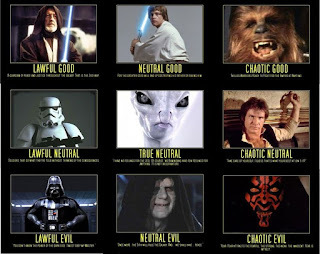 Every D&D character has a "moral alignment," measured on two dimensions: good v. evil, and lawful v. chaotic. 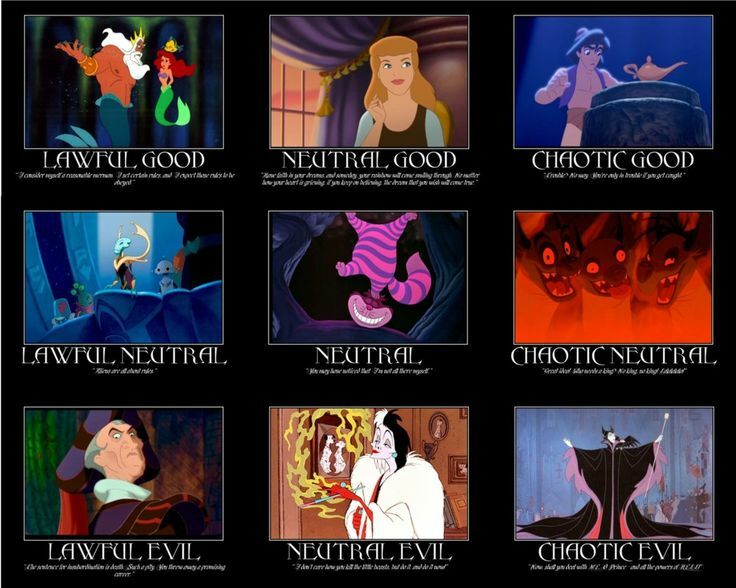 Neutral is an option for each, resulting in nine total potential alignments. A neutral good character does the best that a good person can do. He is devoted to helping others. He works with kings and magistrates but does not feel beholden to them. 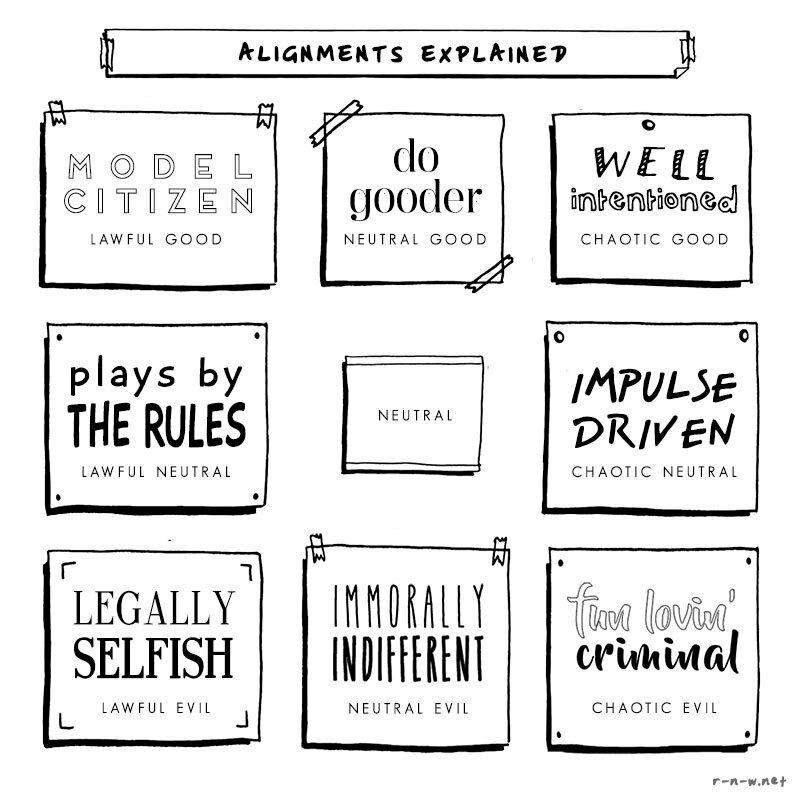 Neutral good is the best alignment you can be because it means doing what is good without bias for or against order. To my deep shame and great honor I still play. Monthly online with friends around the country and weekly a pencil and paper game with professors from my days at university. I love to throw in old NPC, Characters and Scene from our long ago adventures. As I think you know, we still play D&D twice a month... When Affirmation business doesn't take me out of town, and even then we've begun lately to play D&D via Zoom videoconferencing technology. Our D&D group has been doing this for something like 25 years now, the old fashioned way... Character sheets on paper, dice, and little painted figurines on a mat with a grid. 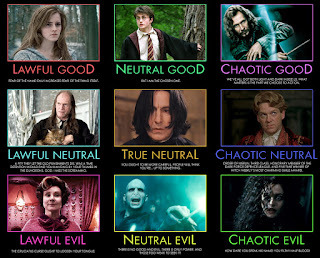 As a youth, I always played lawful good characters... Usually wizards. 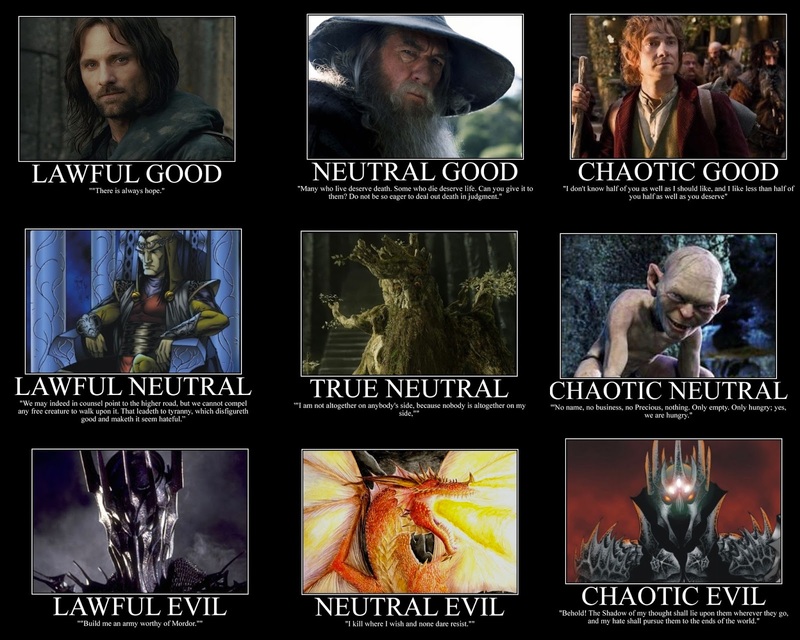 (I basically aspired to be Gandalf, I guess.) 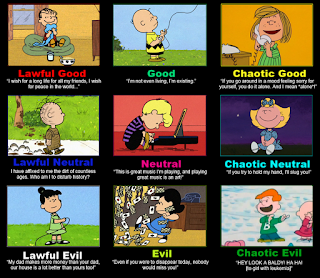 As an adult I finally crossed a line that felt sacrilegious to me as a kid... I started to play clerics. :D Have also experimented a bit with different alignments, including neutral good and chaotic good. 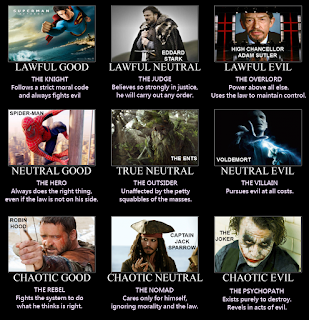 One of my favorite characters to role-play was a non-violent cleric by the name of Joseph. A "non-violent" D&D character you say? Yes, my fellow party members actually hated it. I used only weapons that would do "subduing damage." I refused to kill monsters or villains, even the truly evil ones, preferring instead to pacify them and try to convert them. I remember that day in Wendell's basement. Actually, we played all night. 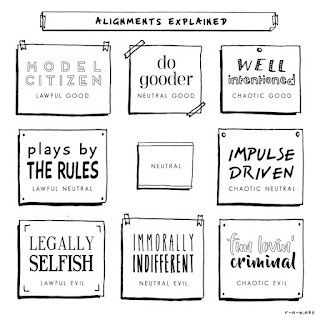 As for my alignment . 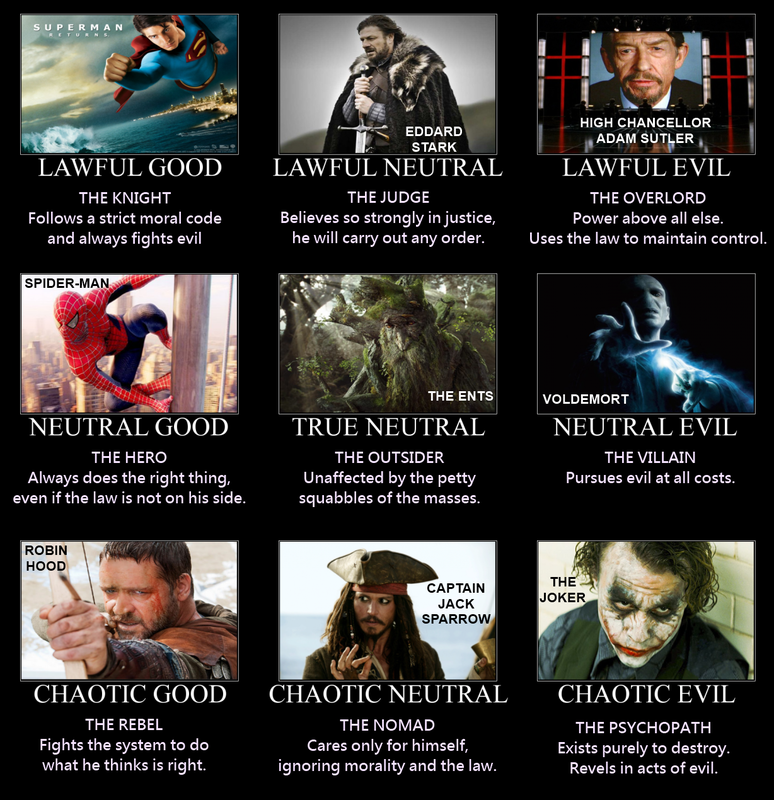 . . chaotic good.